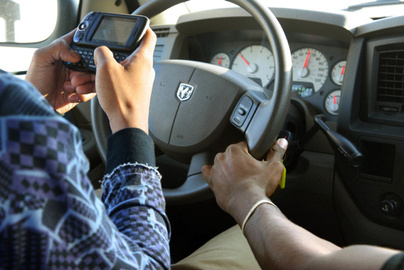 The Commonwealth BANS Texting While Driving for ALL Massachusetts Drivers! The new law will not be enforced until October 2010, but you shouldn’t wait to break your loved ones of this BAD habit! Starting in October, ANY driver caught reading or composing a text message while operating a motor vehicle will be charged $100. A $500 fine will be imposed to those drivers caught texting while driving a public transportation vehicle. Law enforcement officers have the authority to stop ANY driver suspected of texting and driving, although if cited, this will not be considered a moving violation on your Massachusetts automobile policy. Teen drivers (18-years and younger) that are apprehended while texting and driving will also be subject to a 60-day suspension of their drivers’ license. In order for the teen to have their drivers’ license reinstated, the driver must take an attitudinal retraining course. Any driver that accumulates 3 or more of these offenses will be required to take a drivers retraining course. “The bill sends a clear message to all drivers, regardless of age, that when behind the wheel, your primary focus should be driving” says Senator Baddour. You are currently browsing the Koinsurance's Blog blog archives for July, 2010.